India’s Rishabh Pant on Friday scripted history by becoming the first wicket-keeper from the country as well as first Asian wicket-keeper to score a century in Australia during the second day of the fourth and final Test between the two sides at the Sydney Cricket Ground (SCG). The 21-year-old brought up his maiden Test century in Australia and second overall in the longest format of the games off 141 balls. He reached the milestone by scoring a boundary off Marcus Labuschagne’s delivery in the 149th over. Pant has also become the second-highest scorer in the ongoing series in Australia, surpassing skipper Virat Kohli’s 282 runs. He now only trails Cheteshwar Pujara, who fell just seven runs short of a double ton in the Sydney Test to amass a total of 521 runs so far. The young batsman came to bat at No.6 spot when India were standing at 329/5 in the first session. Pant then went on to share a crucial 89-run stand with Pujara (193 runs) before stitching a highest-ever partnership of 204 runs for the seventh wicket in Australia with Ravindra Jadeja (81). Pant finished at an unbeaten score of 159 as India declared their first-innings on 622/7 against Australia at the SCG. 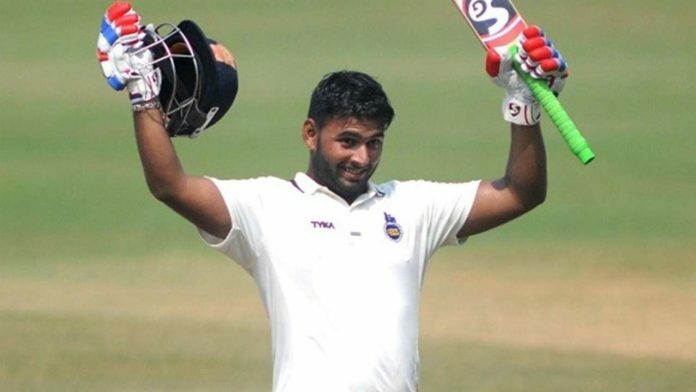 En route to his innings, Pant also became only the fourth Indian wicket-keeper to cross 150-run mark. Not only this, he also became only the second wicket-keeper from the touring nation to score centuries in both England and Australia. West Indies’ Jeffery Dujon was the first player to bring up tons in Manchester and Perth in 1984. Earlier, Pant became the country’s first keeper to complete 20 catches in a Test series during the final day of the Boxing Day Test in Melbourne. And now he has become the first wicket-keeper from the subcontinent to score over 200 runs and take 20 catches in a Test series. Currently, India are leading the four-match Test series 2-1 following their wins by 31 and 137 runs in Adelaide and Melbourne, respectively.